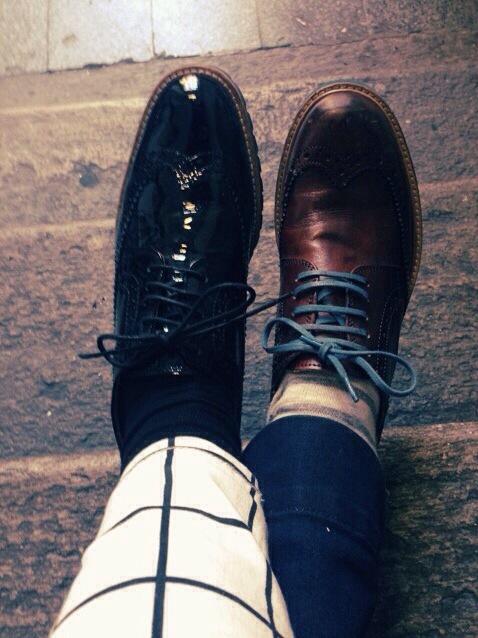 Me and my friend Valentina, we met at our usual place, Vogue’s balcony smoking a cigarette and, guess what?, we’re perfectly matched with men style shoes, socks and pants in stripes and squares. Aren’t we cool? Left, me in Voile Blanche black patent leather shoes and H&M socks and pants; Right, Valentina Serra in… ops, I forgot to ask her what she’s wearing!